I think I will not have many tulips grow back this spring. The chickens dug up most of the bulbs. Yes! they are very bad chickens. I am glad that they now can stay in their own space. My husband planted some tulips last fall. Unfortunately, we let go of our chickens and roam around the yard. They dug up most of the bulbs that my husband planted. There are few that are growing back this year. This is what my flower bed looks like. It looks spotty. I am glad that some tulips grow back. 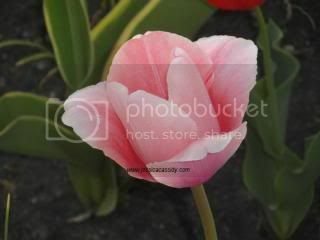 My husband said that he will plant some tulips this fall. This is the first tulip that blooms this morning. I think it looks pretty. How about you? Did you have tulips in your yard? What kind of flowers grow in your yard? 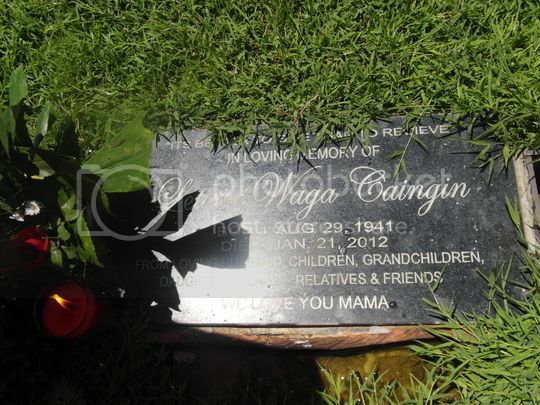 Today is the birthday of my Aunt Letty. She should turn 72 years old. Unfortunately, she went to heaven to join God. Aunt Letty is my Mom’s big sister. They are only two years apart. My Mom used to do my Aunt Letty’s laundry. I also cleaned her house while my Mom is doing their laundry. My Aunt Letty is like my second mother. I missed her so very much. She is the best aunt in the entire world. She helped my family a lot and especially me. She helped me with my school and even when I was applying for a job. She helped me to pass all the job requirements. I will never ever forget my Aunt Letty. We have happy memories together as aunt and niece. I love her very much. I did not see her for the last time when she went to heaven. 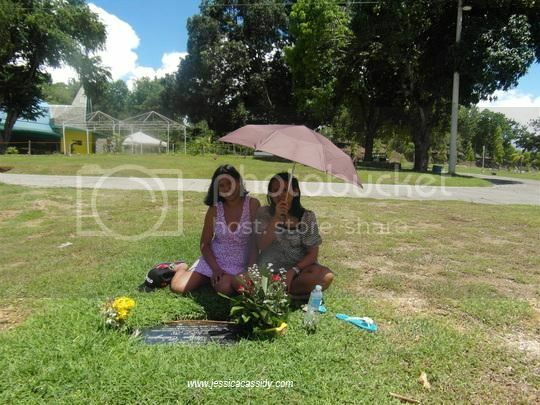 I did visit her grave last year when my daughter and I visited the Philippines. My Mom and my niece was with us too. We brought her flowers. I know that she loved flowers. It was a very warm day. We said our prayers and stayed in her grave for a while. It is very hard for me to talk to her through prayers. I missed her advice. I missed our joke and the laughter we had. I missed the time when we ate together in her house after finishing the laundry and cleaned her house. My Aunt has the money but she stays humble which I loved about her. Happy birthday Aunt Letty and I know that you are looking down from heaven for us. I want to say thank you very much for everything. I love you so very much. I am glad that my husband loves flower as well. He loves to decorate not only inside the house but outside as well. He always ask me about his plan and if I agree to it. I agreed to his plans usually. Summer is the time when the family stays outside until dinner time. We spend most of our time in the pool if not in the pond. I love to watch my family having fun swimming in the pool. I also love the hanging flowers around our pool. 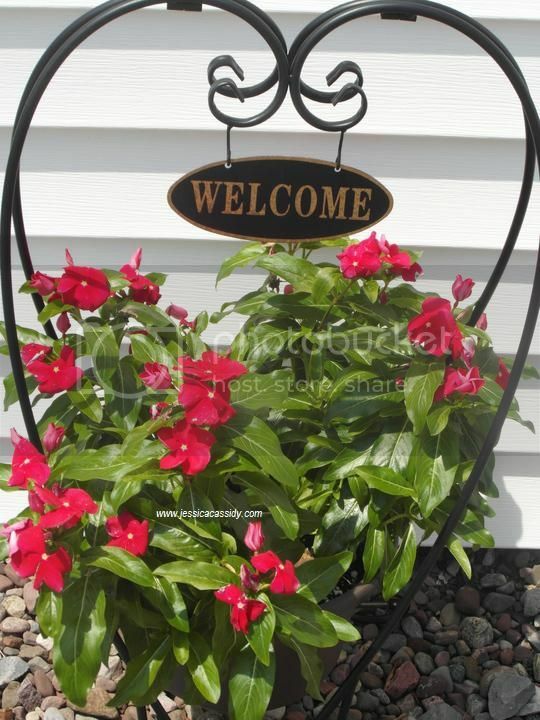 I love this flower in the pot that says welcome. I water them too regularly to keep them beautiful. My husband bought these flowers in the flower store. It is very expensive. I want to do it by myself next summer. I will save the hanging baskets and the pot. 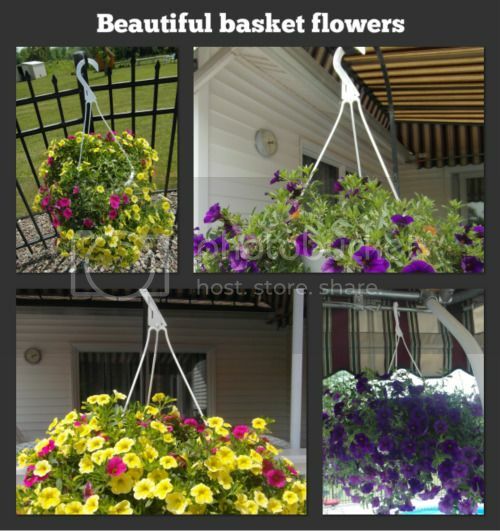 I need to buy flowers that are perfect for the hanging baskets and for the pot. I know that Miracle-Gro is my best secret to keep these flowers grow beautifully. I already proven that and still using it every time the family will plant flowers on our front yard. We did many fun garden projects for the family. We always had a wonderful time together planting flowers. How about you? Do you love to plant flowers? Do you have an inspirational garden stories that you would love to share? You can share that to The Gro Project to inspired people especially the new gardeners. I also followed the Miracle-Gro Pinterest and inviting my readers to follow them too. I can find tips on how to keep my flowers beautiful. I am sure that my readers will do the same too. By the way, there are other Miracle-Gro products that you use with your garden projects. You can use LiquaFeed All Purpose Plant Food Advance Starter Kit for any in-ground projects. You can also use Shake’n Feed All Purpose Plant Food and Moisture Control Potting Mix for indoor or container projects. Every morning, I am very excited to wake up and check how beautiful the tulips are. I love to look at them and admire how beautiful their colors are. There are red, yellow, purple, white, orange and my favorite color pink. Every woman loves the color pink, right? There are actually six (6) pink tulip flowers growing on the right side of the front yard. I just wish that they grow until summer long. Unfortunately, they will die before summer. They will grow back next spring. 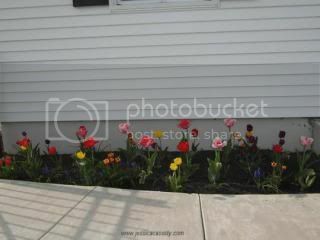 Do you have a tulip flowers at your front yard? What is your favorite color so far of the tulips? The tulips are easy to plant. 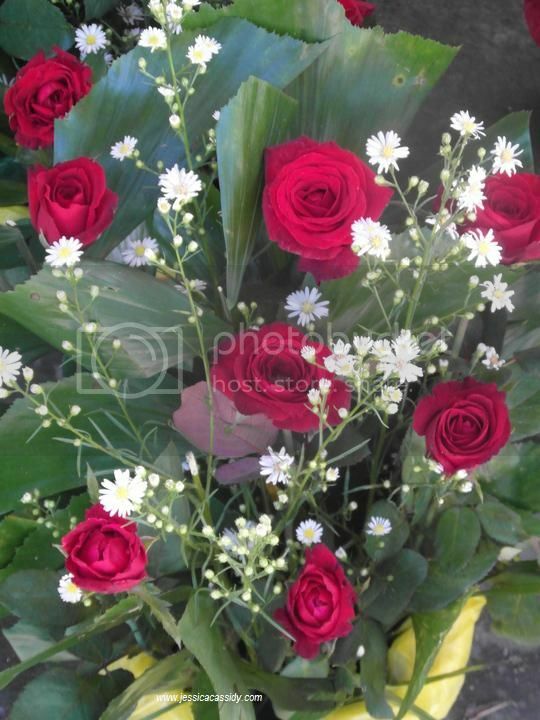 You can buy them in different areas or flower shop. You have to plant them in the fall where the weather is cold. It will grow in spring. Rose used to be my favorite flower. It changes when I live here in America. Tulip it is now my favorite flower. Our tulips grow every spring. 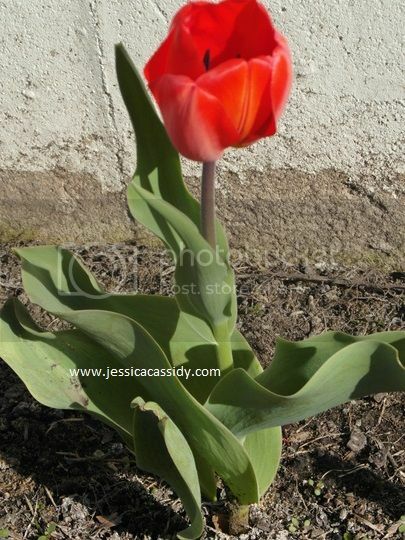 It has been 11 years since our tulip grows back each spring. There are also tulips growing behind the garage. They are too beautiful not to notice.